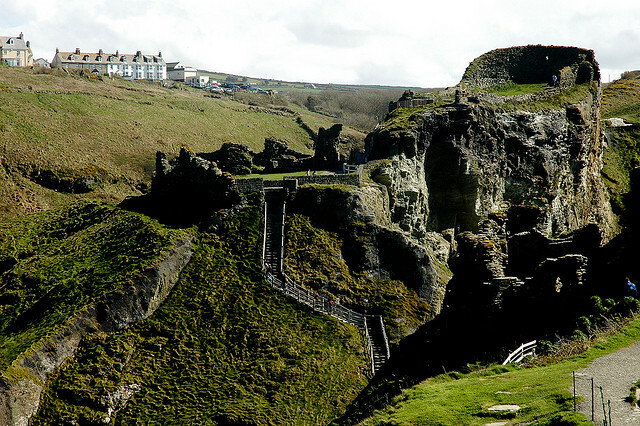 There are many castles in Britain that are better preserved, more historically significant, or more beautiful than Tintagel Castle on the rugged Cornish coast. 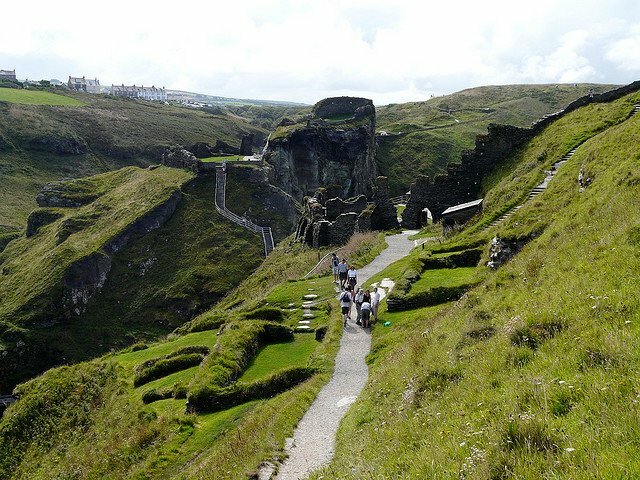 That being said, Tintagel remains one of Britain’s most-visited castles — because it holds a pivotal role in the romantic legend of the great King Arthur. Keep in mind there’s never been any real historical proof that King Arthur actually existed. But who cares? It’s one of the most enduring stories in the world, told over and over in countless books, scholarly works, movies, and even musicals. The earliest known telling of the legend was written in the 12th century by Geoffrey of Monmouth — and Tintagel is where the story begins. According to Geoffrey of Monmouth, the mighty warrior-king Uther Pendragon hosted an Easter feast for the lesser kings of Britain. Attending the feast was Gorlois, Duke of Cornwall, and his wife, the lady Igraine. Uther was captivated by Igraine’s beauty, and determined to make her his own. 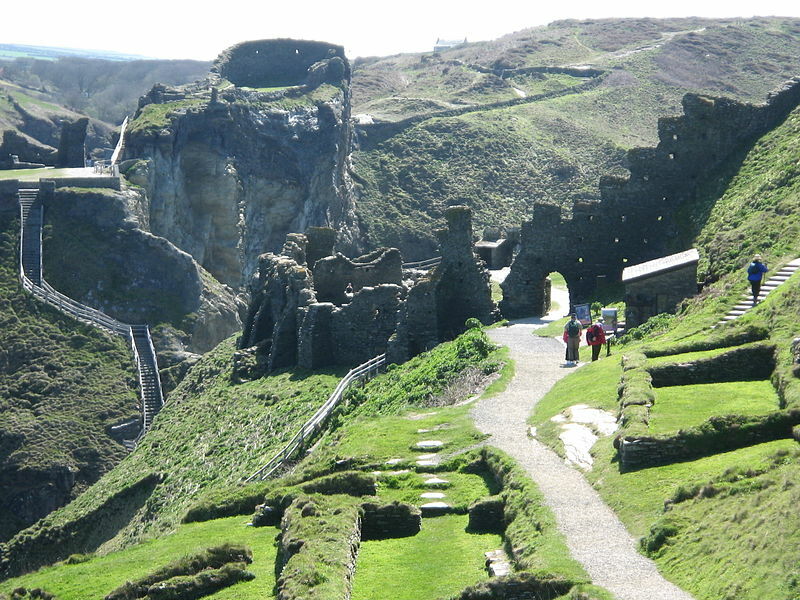 But he made no secret of his desire, so Gorlois immediately returned his wife to his castle fortress at Tintagel. Unwilling to start a war with Gorlois, Uther turned to the magician Merlin for help. Merlin used his magic to make Uther look like Gorlois. Together they passed through the castle guard and into Tintagel, where Uther spent the night with an unknowing Igraine. On this night, Arthur was conceived and the famous story of love, chivalry, quest, and betrayal was set into motion. Historians and archaeologists agree that Tintagel was home to royalty as far back as the Early Medieval Period, sometime between 450 and 600 A.D. Its remote location made it easy to defend, yet easy access to the sea may have made it an important spot for cargo ships to unload their goods. 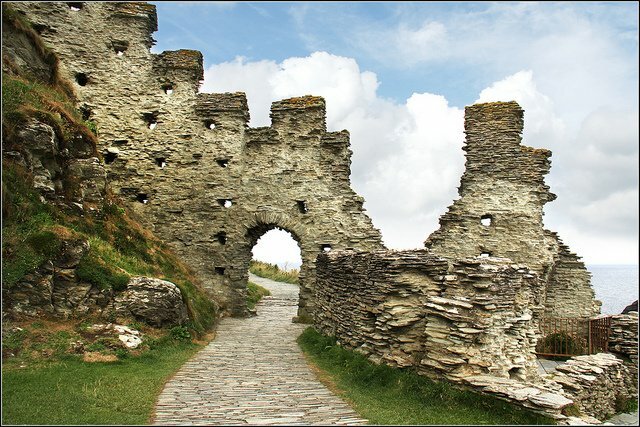 In the 13th century, Richard, Earl of Cornwall, built his castle at Tintagel — these are the ruins which tourists visit today. 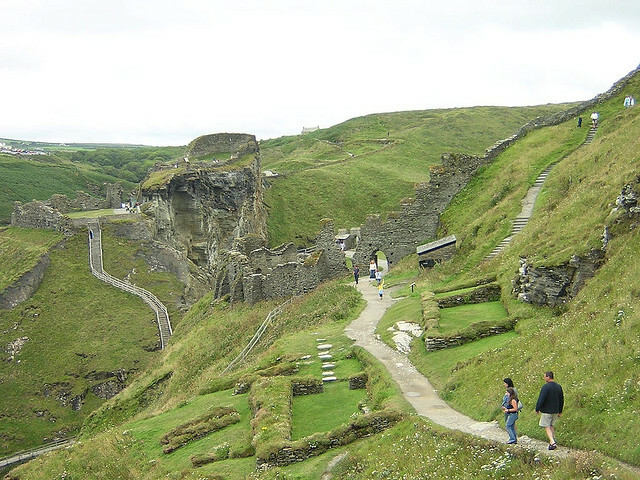 Tintagel has been an important archaeological site since the 1930s, but it’s been a popular tourist destination since the Victorian Era. Certainly the romance of the Arthurian legend is a big draw; it’s easy to let your imagination run wild as you climb the rocky paths around the castle ruins or stand in “King Arthur’s Footprint” at the highest point on the island. 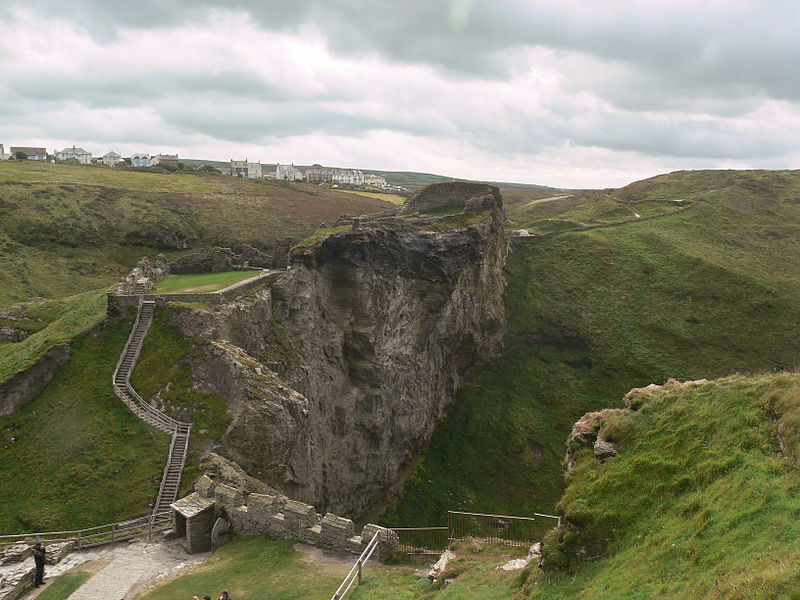 But Tintagel — and all of the Cornish coast — is also home to the some of England’s wildest, most dramatic shores. These rugged, windswept cliffs are wonderful places to walk, and a drive along the coast features small picturesque seaside villages, green, green countryside, and numerous Celtic ruins for the history buffs. 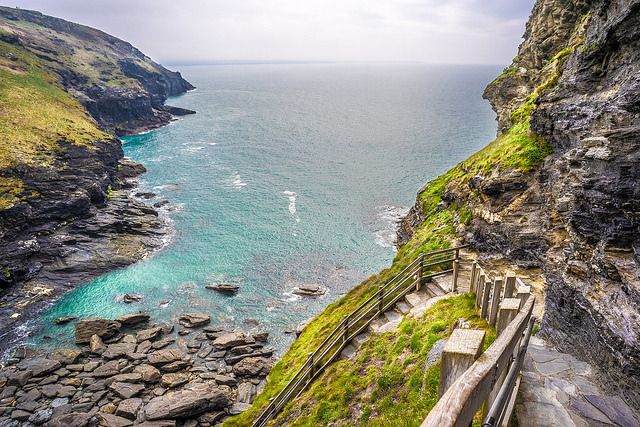 To really enjoy the spectacular beauty of Cornwall, plan to stay in one of the larger coastal villages, like Wadebridge or Bude, then rent a car for a drive to Tintagel. Explore the castle ruins, soak up the dark atmosphere of this grim relic, and then spend the rest of your visit discovering the joys of the dramatic Cornish coast. If you’re looking to avoid the crowds, plan to be in Cornwall before mid-July.